An invitation to your local church, then to invite others to join you there, set in a beautiful harmony-laden, Americana-flavored ballad. Al Lowry and Rick Paul played in the worship band at The Gate in Rancho Santa Margarita, California. 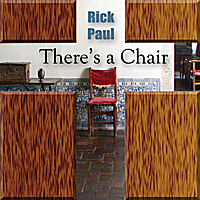 One Sunday morning in early 2010, the pastor, David Habib Bardowell, was preaching a sermon and used a graphic example of three chairs. There was a small chair for a child, a middle-sized one for a teen, and a full-sized one for an adult. Pastor Bardowell indicated the empty chairs were meant to be filled -- i.e. God wouldn't provide the church with extra chairs. During the second service that morning, Al handed Rick a quick draft lyric he'd written, inspired by this sermon, saying, "you write the music." A few weeks later, Rick took Al's lyric as a starting point and began writing what eventually became this song. The song unfolds as a sequence of scenes. The first two scenes depict common scenarios that lead non-churchgoers to seek out a church, such as being disillusioned with the ways of the modern world or feeling alone in the world. The third scene continues with feeling at home in a local church, be it singing songs of worship or praying silently. The final scene progresses to evangelism in the form of leading others who may have similar needs to a church home.